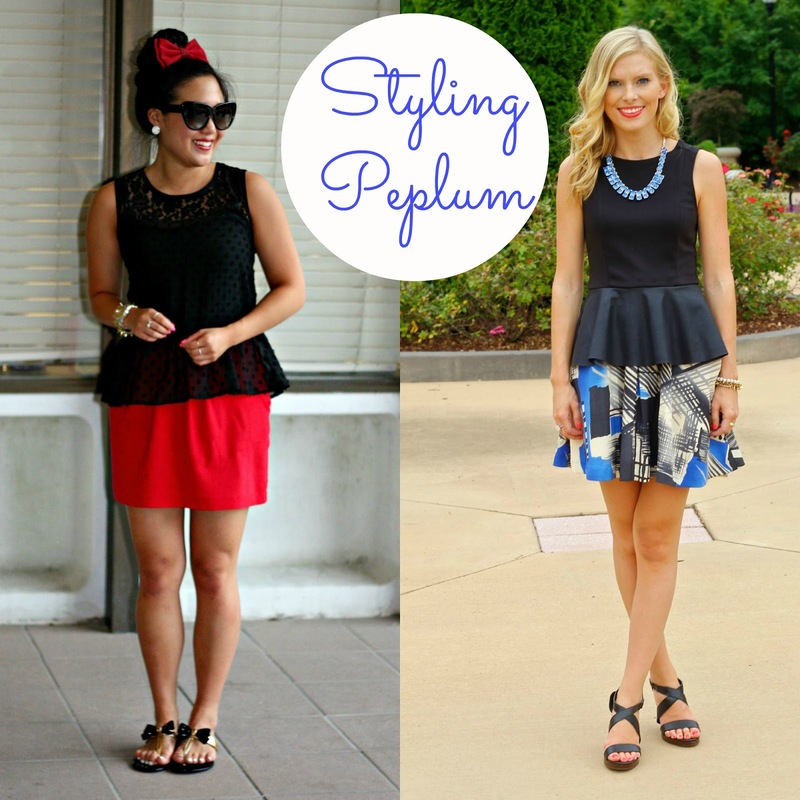 Today Emily from Life With Emily and I have teamed up to show you how we style our peplum tops. There's no denying that I'm obsessed with Emily's darling wardrobe (and statement necklaces!). Even though I was really looking forward to meeting this pretty gal at the SBS NC Blogger Meet-Up, things just couldn't work out. Hopefully, we'll be able to grab coffee or a blogger lunch date sometime soon. Head on over to her blog here to see more photos of her outfit! Do you ever come across a situation where you're convinced that your outfit looks perfect with two totally different pairs of shoes? Well, due to the endless amounts of rain a few weeks ago, rain boots have always been my first pick. No question about it. While styling this outfit, the darling polka-dots and peplum (plus that red bow) made me feel girly and feminine and finishing it off with bow sandals deemed more appropriate. So instead of having to make a decision, I decided to go with both. That's the thing I love about style. There is no rulebook you must abide by. You can dress however you please and still call it your own. So. Be honest, which shoe do you like paired better with this outfit? I'd love to hear your thoughts! Also, don't forget to enter my Stella & Dot Giveaway! Ends August 4th!